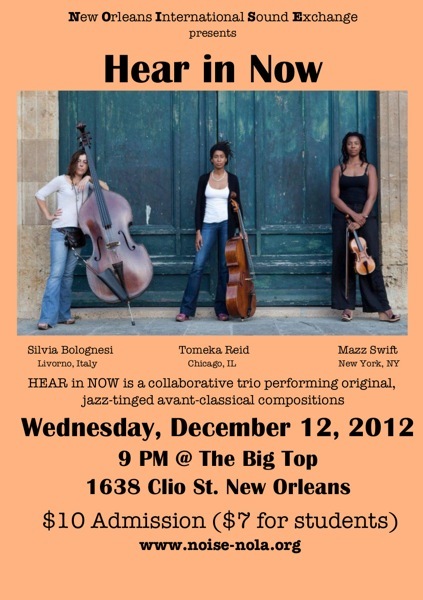 I am involved in a new organization that will be presenting improvised music in New Orleans. Our first concert is December 12. This entry was posted in Music, Recommendations/Reviews by Jeff Albert. Bookmark the permalink.